Now somebody got the attorney general to admit he’s a member of the blackface club, too. I don’t remember as a white kid in the ’60s and ’70s coming across anybody in blackface other than Al Jolson in the movies. But while finding out a med school actually had a yearbook is indeed a revelation, reading about Virginia’s racist past isn’t. I’ve been thinking a lot today about growing up in Falls Church. I lived off Lee Highway and played football against Lee High School and Washington & Lee High School and J.E.B. Stuart High. I have one lifelong friend who went to Stonewall Jackson Elementary and another who went to Stonewall Jackson High School. The latter is in Bull Run, Va., also home to one of the sanctified civil war battlefields that we took field trips to in elementary school to hear war stories where the southern side was presented with at least equal righteousness. I moved into D.C. in 1986, but on election day 2008 I went back to Falls Church, trying to take stock of this country being on the verge of electing a black president. On that day, and again lately, I thought about the next door neighbors on one side of my house, the Prices, wearing “George Wallace for President” hats when I was a kid, and how the guy who owned the home on the other side, Mr. Parks, had gone to Anacostia High in D.C. when it was all-white, then fled with his family across the river to Virginia when Brown v. Board of Education forced the nation’s capital to integrate its schools. 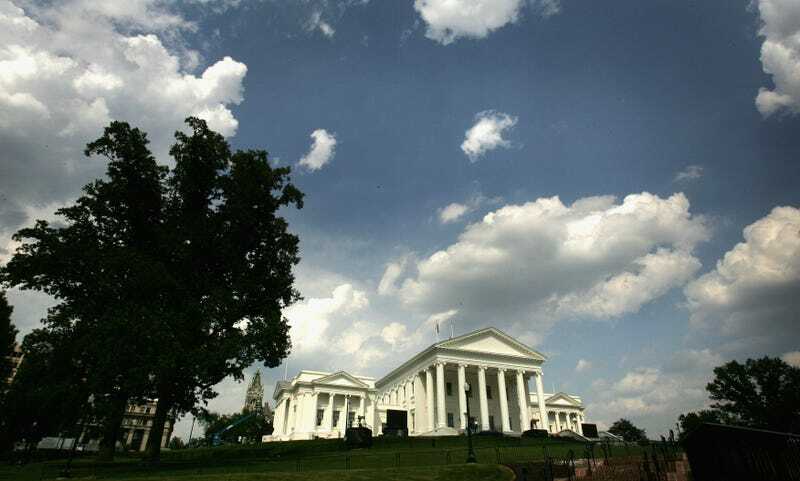 Virginia ignored the law of the land for years after the 1954 Supreme Court edict. At least one county dissolved its public school system rather than comply. On that day, I drove through the James Lee section of town, an inside-the-beltway neighborhood where in 1915 the city council passed an ordinance compelling black people to live. There’s no evidence the law, with its $5-a-day fines, was ever enforced, but it wasn’t repealed until 1999. James Lee was right next to the Jefferson Theater, where I saw my first movie, Mary Poppins, and which I’d always heard had been whites-only when I was born. I’d spent my first two decades about half a mile from James Lee but had never driven through it until that election day. Some of the streets weren’t paved and, unlike in my neighborhood, there were no sidewalks anywhere. Again, this was about six miles outside the nation’s capital and in 2008, a time when Falls Church was recognized as the richest city in the country and Fairfax County was the richest county in the country. I called the Fairfax County government that day to ask why there were still gravel roads. Somebody explained that a 2006 neighborhood improvement plan that called for paving was quashed because the county couldn’t figure out the land rights to the streets between Falls Church and Fairfax. The confusion was leftover from the gerrymandering moves made a century earlier, including land giveaways from the city to the county, just to keep their town segregated. It made James Lee seem like an Indian reservation. After my race-based tour, I took my mother to vote at my old, formerly all-white elementary school, saw pictures of the current student body on the halls that made it seem as diverse as the United Nations, then went back to her house. While I was there, Mr. Parks came over and asked my mom if he could have one of the two Obama signs she’d posted in her front yard. I cried.